In order to discover their brand vision and understand a seemingly obscure sport, we interviewed the founders and votunteers and took part in their activities. To begin with, we took part in one of their training sessions. 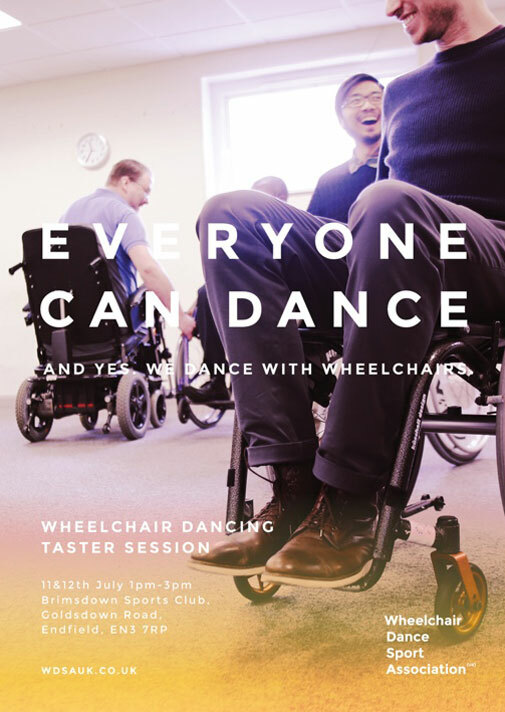 Since we had never even sat on a wheelchair before, we were encouraged to join one of their warm up sessions. By the time I sat on the wheelchair, I forgot I’m sitting in it and it unconsciously became a part of me. Nothing more, nothing less. 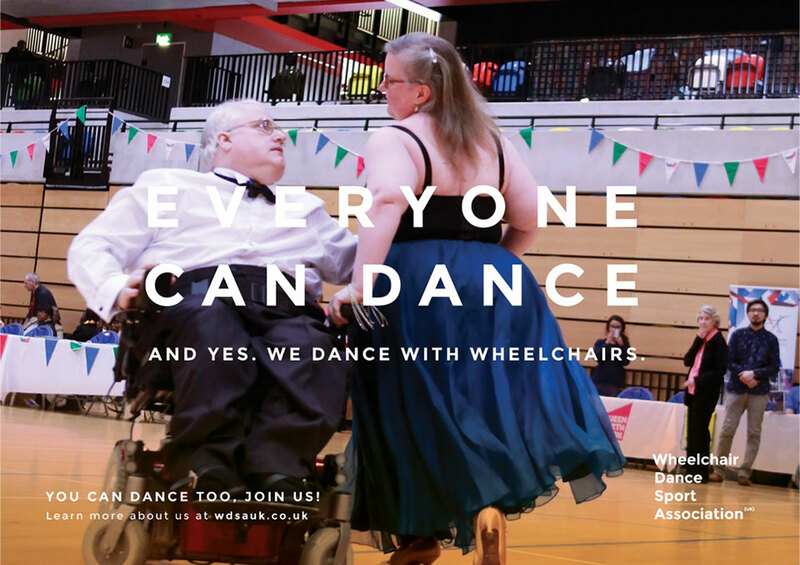 It became clear that it is only when we look at the world from the perspective of a wheelchair dancer that we can truly empathise with them. Thus we decided to capture our experience with photos shot eye level with wheelchair dancers. We then started to notice subtle emotional nuances in the dance. 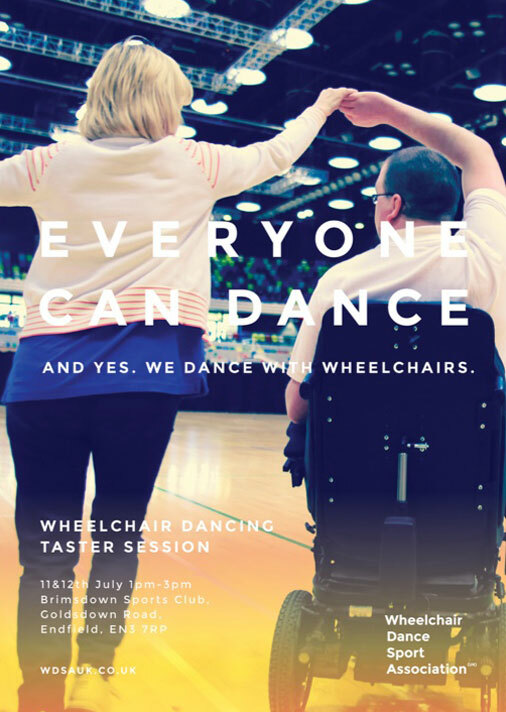 In particular, we noticed wheelchair dancers and their non-handicapped dance partners use their hands to connect with each other. We realised this subtle yet emotionally powerful gesture carries strong symbolic meaning. 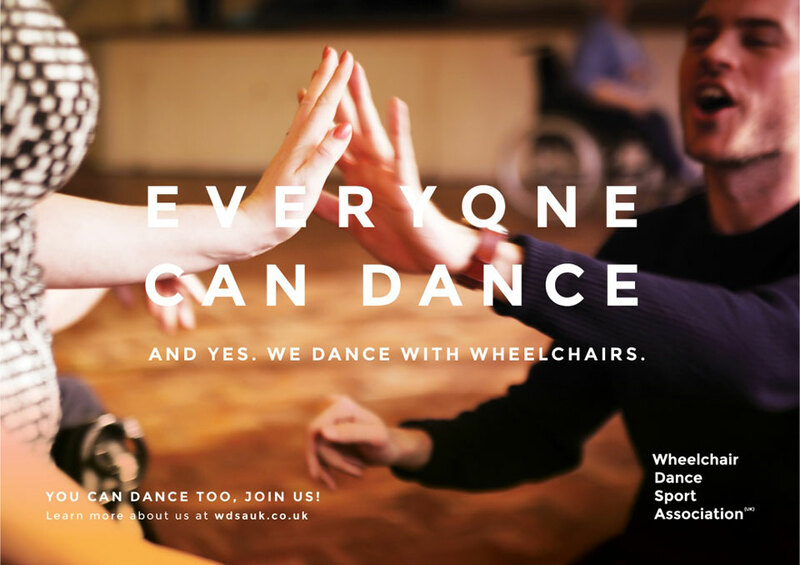 The images we captured were used on a series of posters with a simple tagline ‘Everyone Can Dance’.